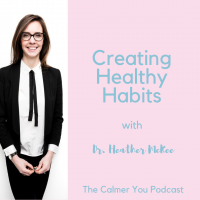 I had so much fun being a guest on Chloe Brotheridge's amazing Calmer You podcast. If you havent listened to her podcast before I highly recommend it. Chloe is all about supporting people to become a calmer, healthier and more confident version of themselves. You can listen to the full episode on creating healthy habits here.